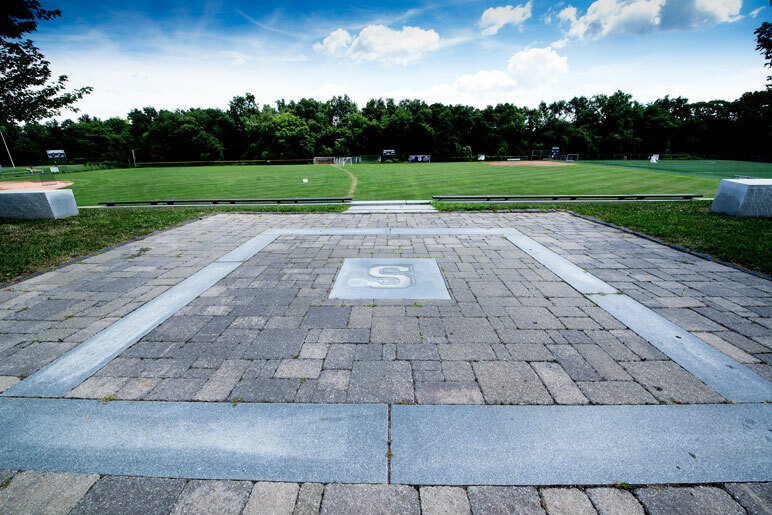 Staples High School’s Wreckers soccer team had amassed 12 State Titles, 27 Conference Titles and more than 30 Divisional Titles on the field behind Staples High School, yet seating adjacent to the parking lot retaining wall behind the school remained a challenge to their loyal fans for years. 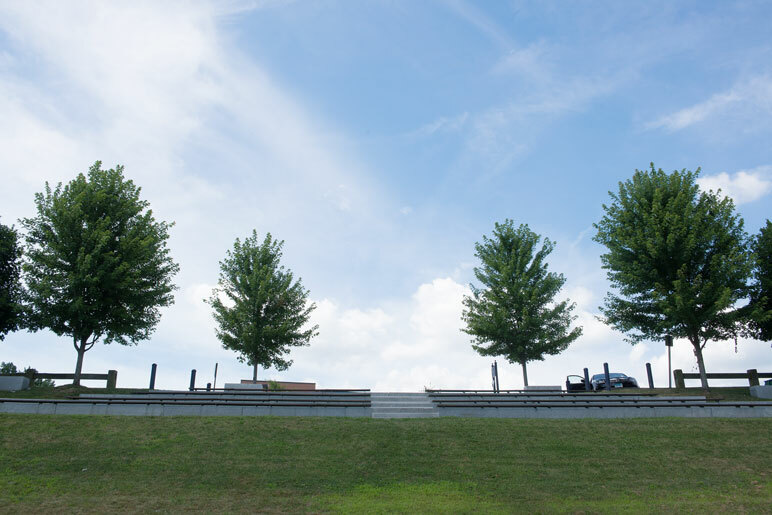 LANDTECH worked with local parents and the Board of Education to create a solution: “Terrace the Hill” — large rectangular slabs of granite set deep into adjoining steep grassy slopes, forming a natural amphitheater. LANDTECH oversaw feasability studies, site planning, civil engineering and negotiated the permitting process. 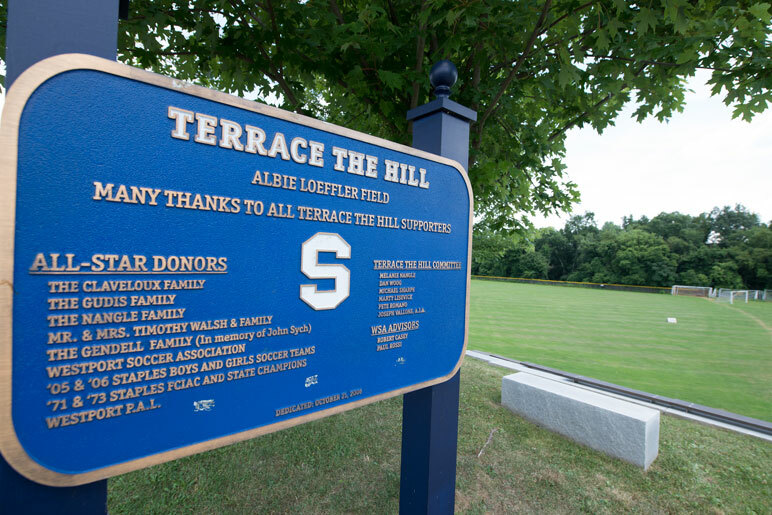 The field and improvements included new drainage, irrigation, and a viewing plaza providing access to the Terrace and seating for physically challenged fans. LANDTECH also assisted with Fundraising.